This is a first look at our NEZUMI® Voiture. 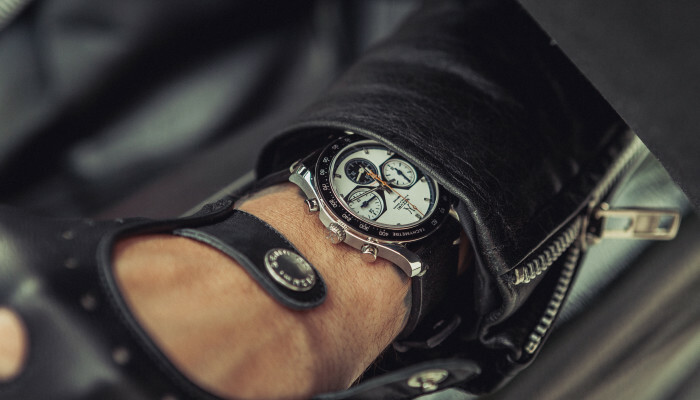 The NEZUMI® Voiture is a true classic chronograph inspired by the 60s and 70s racing era. This watch will come in 3 different dial colors and will be featured in our upcoming Kickstarter campaign that goes live in September. The case is made of 316L stainless steel and measures 40mm wide excluding the crown, 47mm lug tip to lug tip, 20mm lug width and it is 11,5mm thick including the domed sapphire crystal. The domed sapphire crystal has ( AR ) anti reflective coating on the inside of the glass. The case features brushed and polished surfaces. 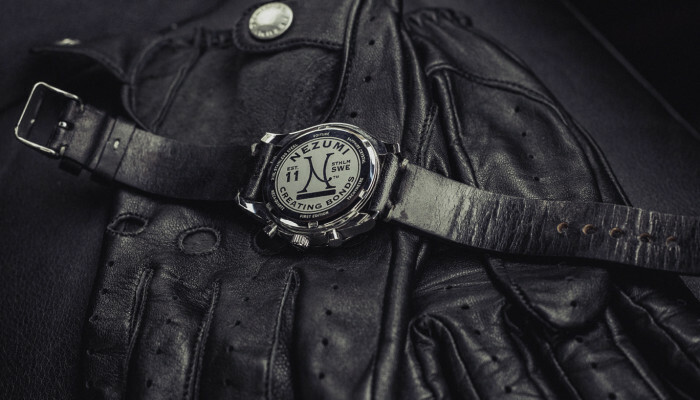 The VOITURE has a modified Seiko VK63 mecha-quartz movement which we have removed the date function on. This movement gives the pushers a very nice mechanical feel and the orange tachy-hand snaps back to 12 o’clock when reset. The orange tachy-hand moves at 1/5th of a second giving it a smoother sweep than on a regular quarts movement. The dial is what is called a sandwich dial and has 2 layers, the 3 sub dials being on the lower layer. The top layer has a slightly matte finish and the sub dials are gloss. The 3 sub dials all have a CD pattern which is a circular texture. The dial has applied polished beveled stainless steel hour markers except for at 3, 6 and 9. All markers have inserted vintage color Radium SuperLuminova. The minute and hour hands are polished beveled stainless steel with inserted vintage color Radium SuperLuminova. 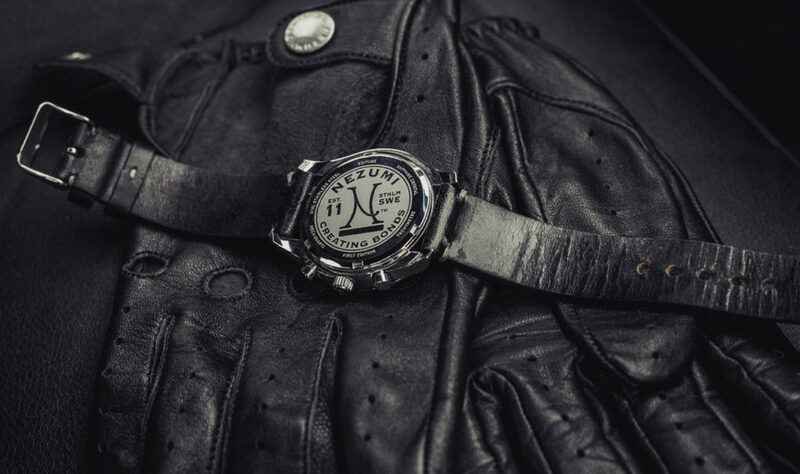 The orange tachy-hand also has inserted vintage color Radium SuperLuminova. The crown is engraved with our trade-mark N logo and is a push down crown. The snap on case back is engraved with our logo and also features some info about the watch. This watch is water resistant to 50 meters ( 5 ATM ). 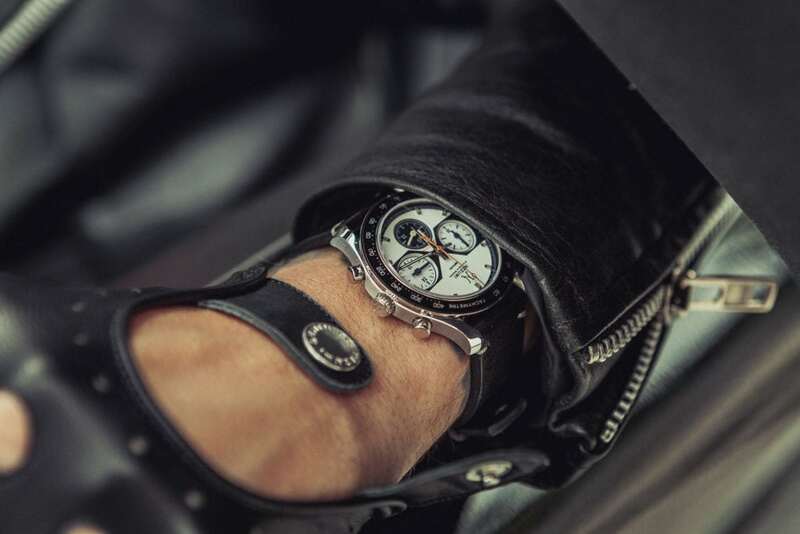 Each watch comes with a genuine Italian leather wristband with a branded stainless steel buckle.